Friends if you seeks for to how access and operate the computer from your computer. Then you are at right place. This article will provides full guide to access an another computer. 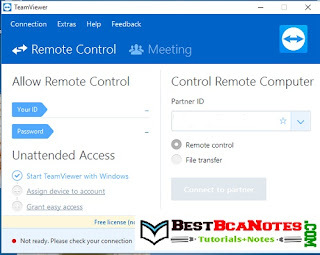 Basically there can be many ways in which we can access the computer.in this article we will see an easiest way to access a computer remotely by using the software TeamViewer. Note that both computers should have installed TeamViewer software on both computers. 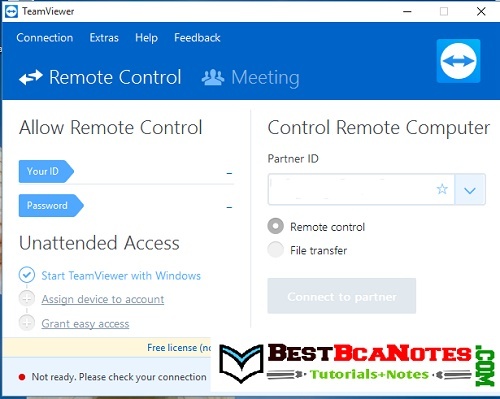 After clicking a download TeamViewer icon the TeamViewer setup file will be download. After downloading the setup file for installation double click on the downloaded file. Follow the instructions of installation process. This id and password is used to access the computer. Follow the same process on another computer that you want to access. 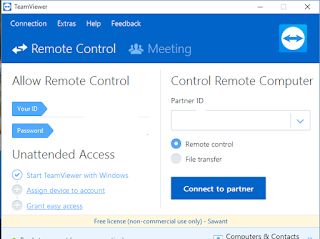 As shown in above image to access the other computer type the TeamViewer id in the partner id textbox which is shown in control remote computer tab. 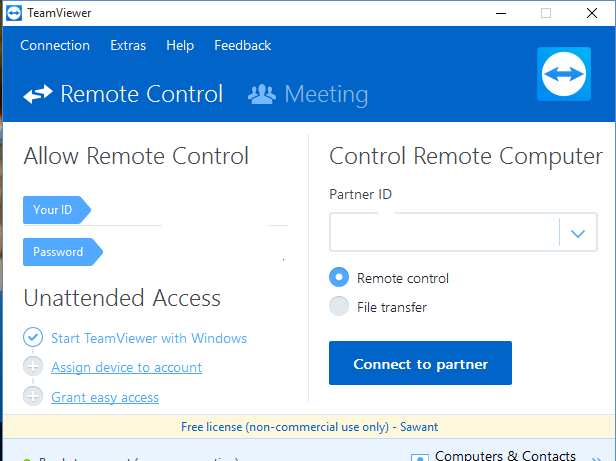 After entering the partner’s TeamViewer id it will ask for the password of partners TeamViewer enter it and that’s done. You will connect partner’s computer and can access that computer.